After stealing hearts with her show-stopping turn in You're a Good Man, Charlie Brown, which earned her a Tony Award, Kristin Chenoweth rose to Broadway super-stardom as Glinda in Wicked, a performance so iconic it changed the Great White Way for good. She’s since become a sweetheart of the small and silver screens, dazzling audiences across the globe with her powerhouse vocals and irresistible charm. 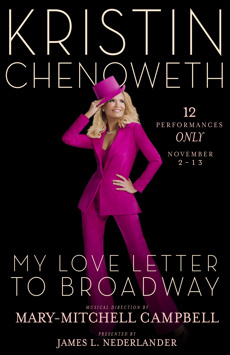 Most recently, this celebrated leading lady returned to the stage in On the Twentieth Century, delivering what Ben Brantley of The New York Times called “one of the most virtuosic portraits in song ever.” Kristin Chenoweth will perform a handpicked selection of musical theater favorites, including songs from her upcoming album The Art of Elegance, her first album of American Songbook classics. An intimate evening of romance, glamour and laughter, this must-see performance will remind you why you first fell head-over-heels for Broadway… and its most enchanting star!